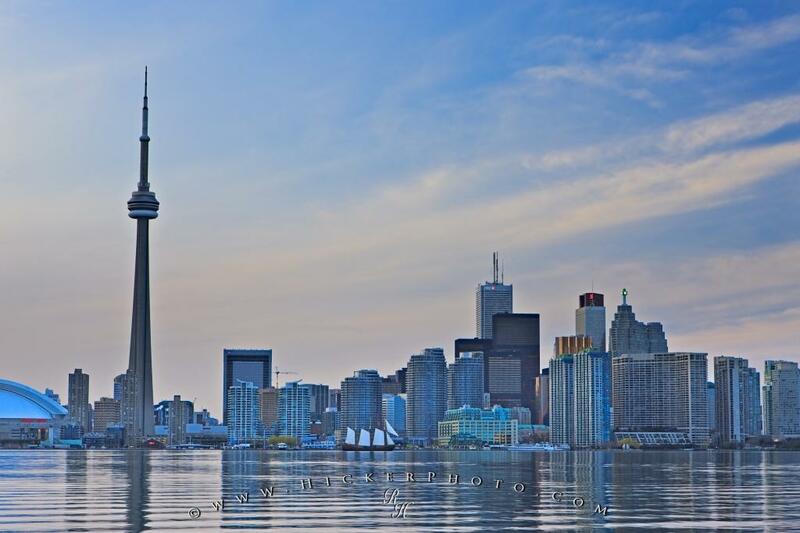 A picture taken from Centre Island in Lake Ontario, gives a great view of the Toronto Skyline showing the high rise buildings, tower, and Rogers Centre. A ferry runs from downtown Toronto to Centre Island on a regular daily basis, providing access to stupendous views of the Toronto Skyline. Toronto City Skyline seen at dusk from Centre Island, Toronto Islands, Lake Ontario, Ontario, Canada. Picture showing the Toronto Skyline from Lake Ontario, Canada. Pictures from photo gallery "Toronto Pictures"
This picture is part of the photo album "Toronto Pictures" - there are more beautiful images waiting for you.